Securikey Heavy Duty Karabiner Key Reel. Economical way to keep your keys just where you need them. Keys can be used at arms length and return smoothly after use. Features 120cm of high strength Kevlar cord. Helps prevent misplaced or lost keys. Easily clips to belt loop or handbag. 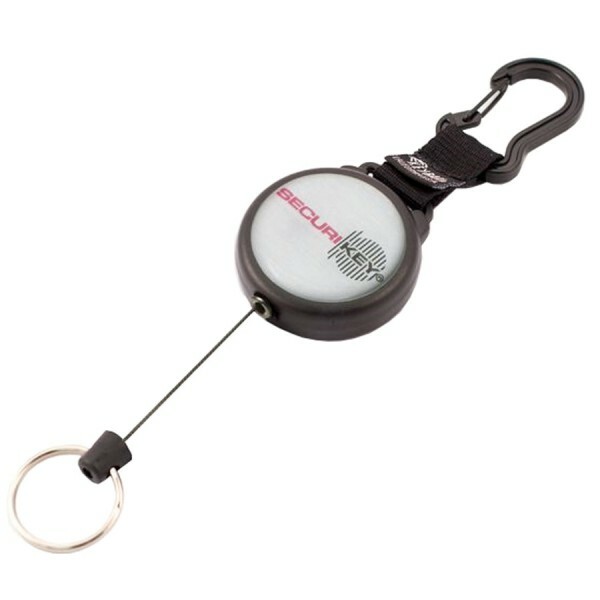 Large key ring for ease of use. Will carry up to 284g or 15 keys (approx).